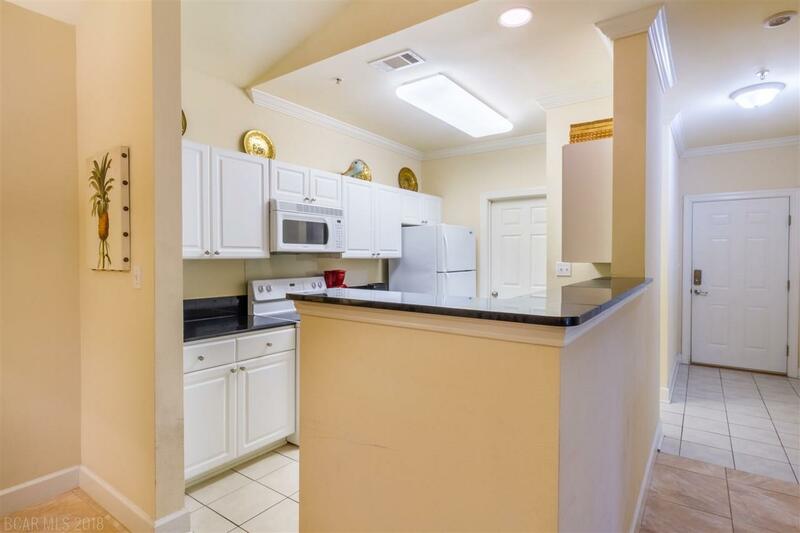 Super nice three bedroom, two bath condo that features ceramic tile and granite throughout. 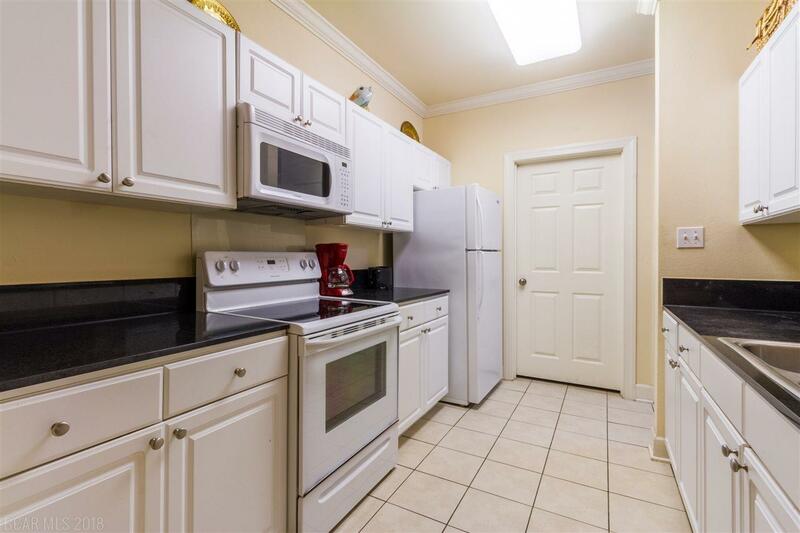 This unit is a show stopper -- Vaulted ceilings in the living room, crown molding throughout, and walk-in closets. 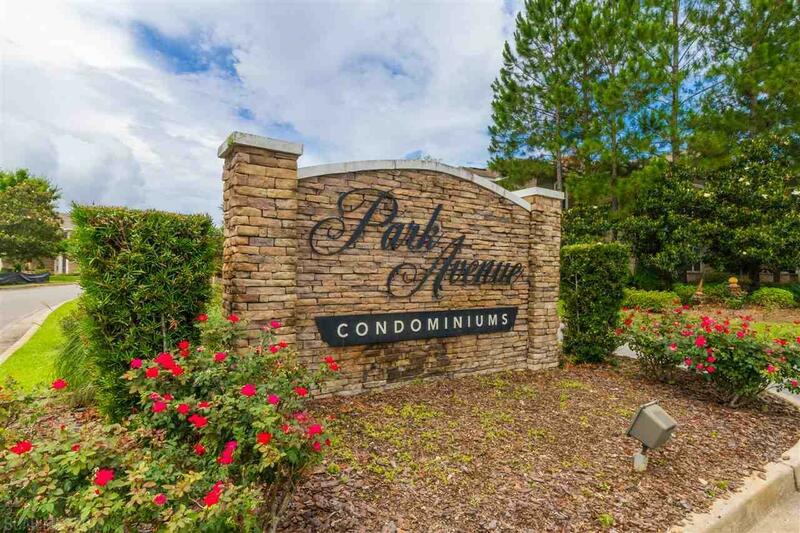 Large screened in balcony overlooking the beautiful landscaped areas. This unit is on the top floor with no one above you! Unit is sold furnished and all appliances convey. 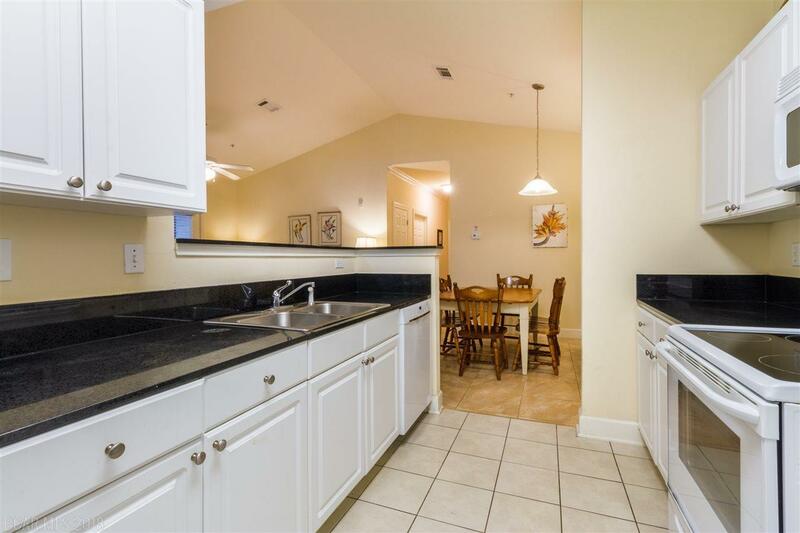 Kitchen has a nice open feel with granite countertops. Great amenities including a kiddie pool, large outdoor pool, and gazebo for entertaining friends and family. Perfect location close to schools, restaurants, YMCA, OWA amusement park, and approx. a 10 minute drive to the beautiful Alabama Beaches!